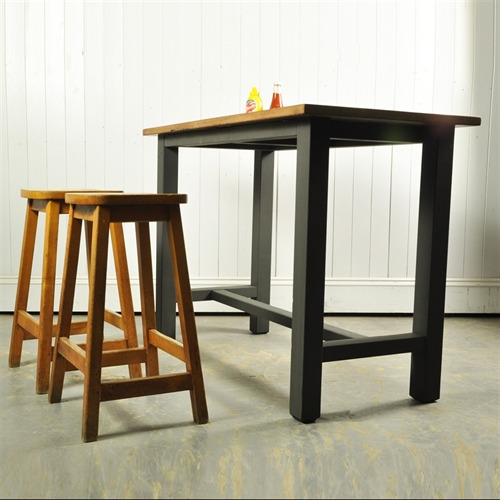 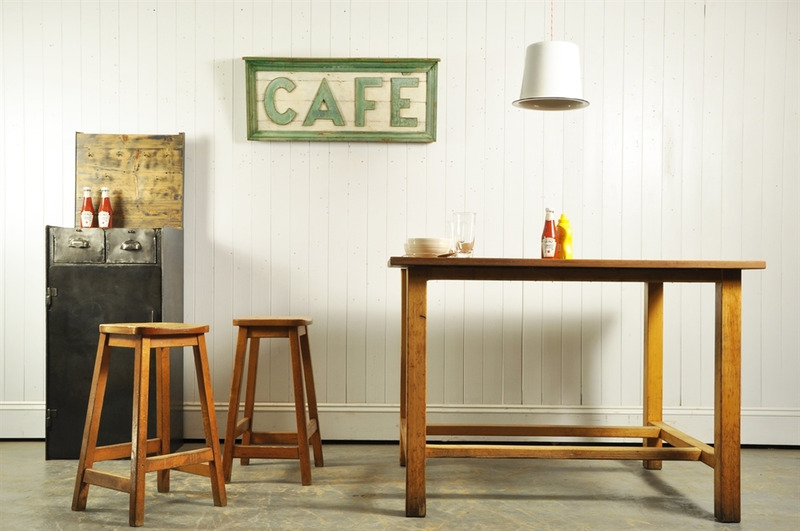 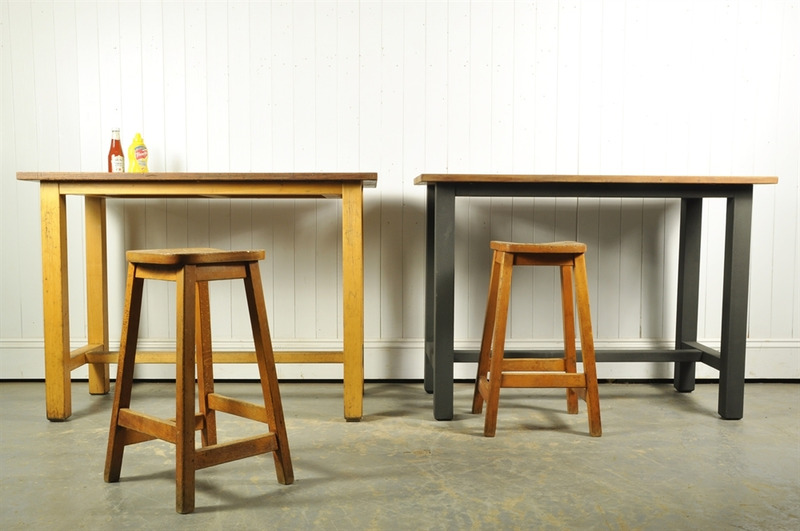 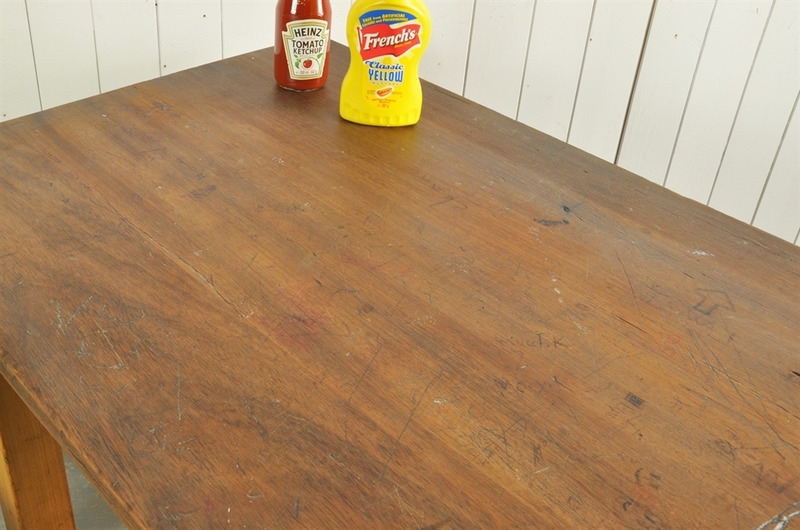 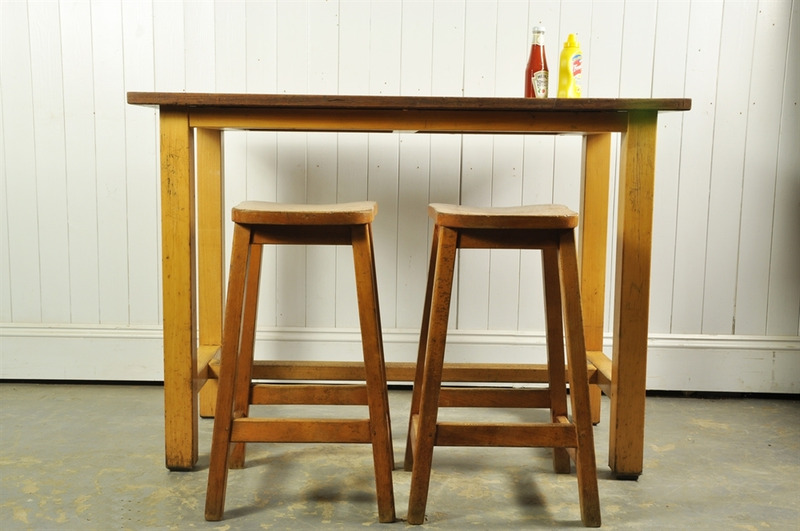 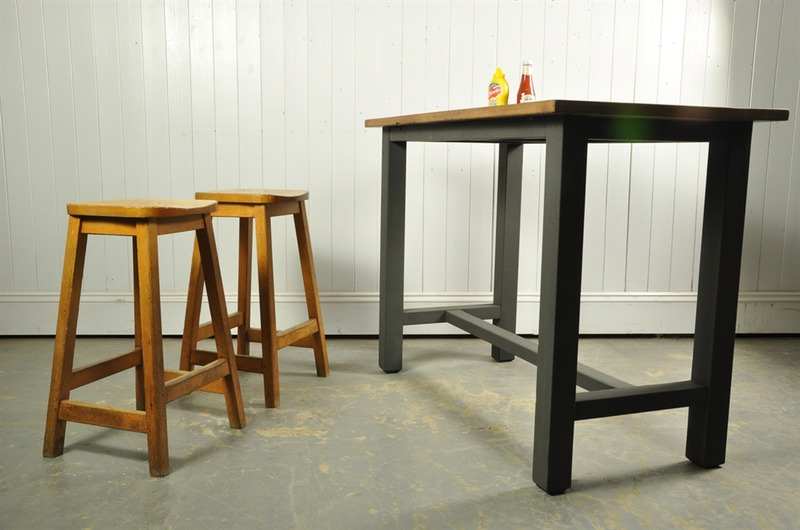 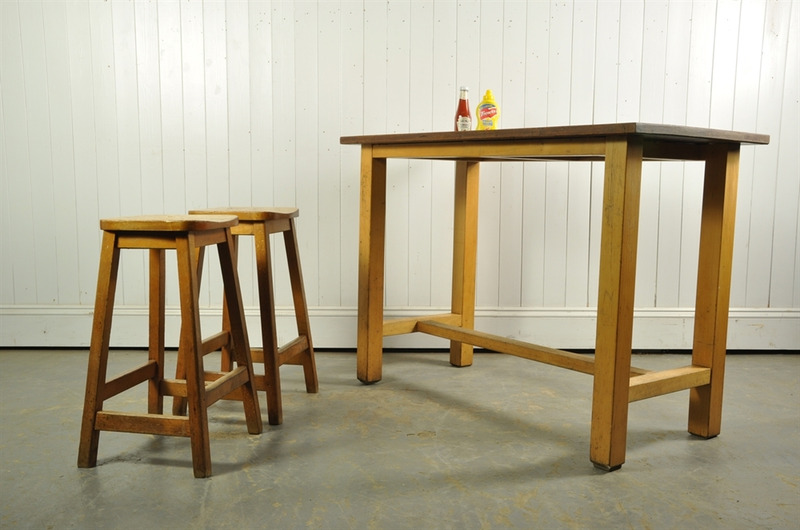 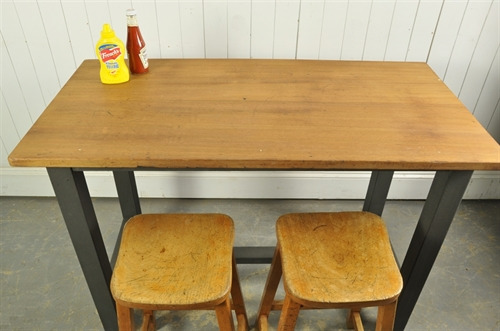 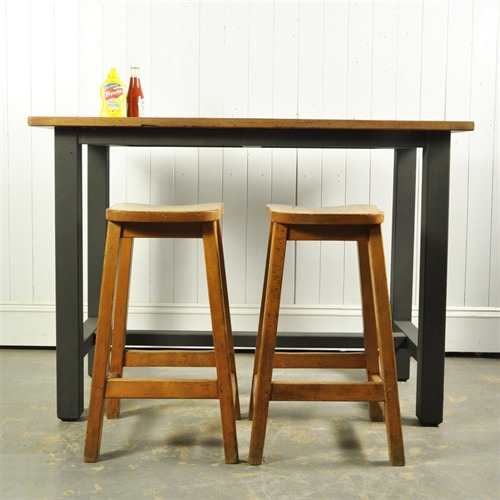 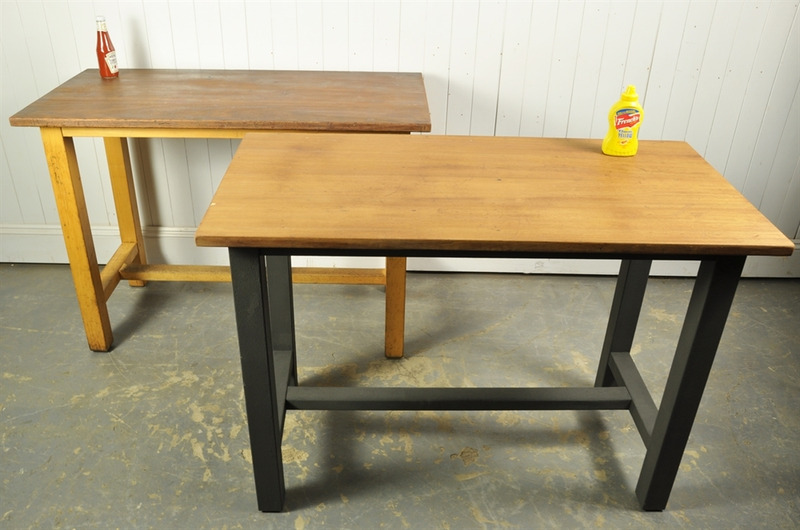 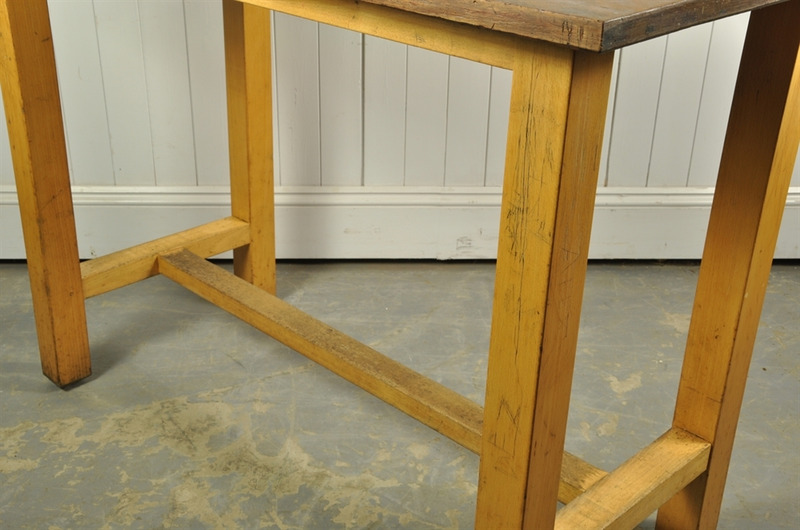 These late 20th Century tables were reclaimed from a school laboratory in Wales. 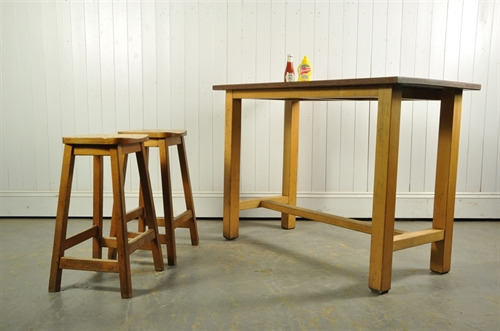 Very well made with beech frames and iroko tops. WE ARE SELLING THESE IS AS FOUND CONDITION - CHEWING GUM AND ALL. 86 cm h x 120 x 60.